Formula E has announced a 10-year agreement to stage a race in Saudi Arabia, with the capital Riyadh hosting the first race of the 2018/19 season in December. The Riyadh event will be FE's first in the Middle East, and the race will take place on a track that will be built on the outskirts of the city. An exact date for the inaugural race is yet to be confirmed, with the 2018/19 calendar still requiring official confirmation from the FIA's World Motorsport Council. The Riyadh race will also be the first FE event featuring the series' new Gen2 cars. "Bringing racing to Riyadh for the first round of the new season is the perfect setting for the next phase of the ABB FIA Formula E Championship," said FE founder and CEO Alejandro Agag. "An exciting and vibrant country that is focussing on its future, Saudi Arabia will be the ideal venue to mark the competitive debut of the next generation Formula E cars. "We think Saudi Arabia - with the new vision of Prince Abdulaziz [bin Turki Al Faisal Al Saud, vice-chair of the Saudi Arabia General Sports Authority], Prince Khalid [Bin Sultan Bin Abdullah AlFaisal, President of the Saudi Arabian Motor Federation], and the country - is a fitting location to launch the latest chapter of the electric street racing series. "Many other sports are already increasing their presence in Saudi Arabia and we're proud that they've chosen Formula E over other categories in racing." The Riyadh race is part of Saudi Arabia's Vision 2030 plan to diversify its revenue streams into areas such as tourism and reduce its reliance on money from oil exports. 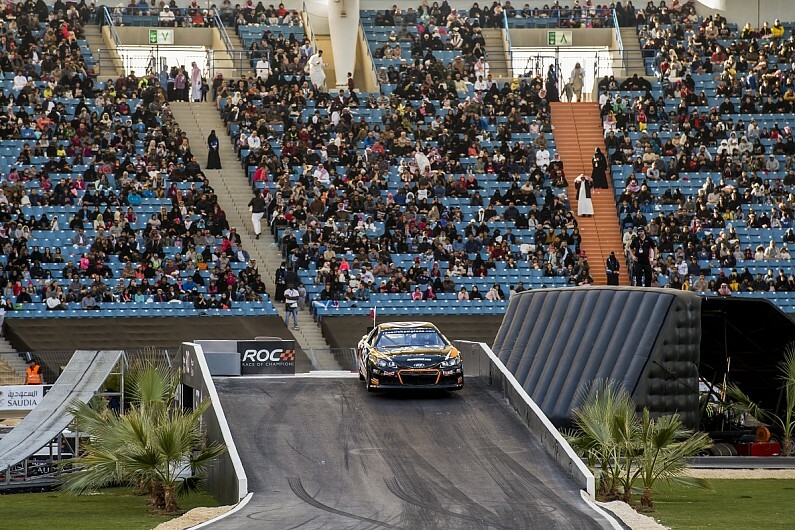 Riyadh recently hosted the Race of Champions event (pictured above), won by ex-Formula 1 driver David Coulthard. "Saudi Arabia is looking to the future and Formula E is the motorsport of the future, that's why this is such an exciting opportunity," said Prince Abdulaziz. "It aligns perfectly with the country's 2030 vision and offers the prospect of world-class racing on the streets of the capital for the first time in our history. "For all fans, men, women, young and old, the dream of hosting a 'home race' will now come true. "The length of the partnership will give Saudi Arabia and Formula E the platform to create a lasting legacy for both the sport globally and the Kingdom over the course of a decade. "This is the latest in a series of game-changing sports events that the people of Saudi Arabia will now be able to enjoy as families, with benefits that go far beyond the sport to deliver a positive impact across our society." Prince Khaled added: "This event and all that surrounds it, from welcoming world-class teams to the global TV coverage, represents a watershed moment. "By hosting Formula E in Riyadh, the enthusiasm for motorsport and sustainable technologies will be heightened further to leave behind a valuable footprint in the Kingdom's landscape and showcase its growing credentials as a sporting destination."